Well not fully, but it's coming. I know a lot of people are gearing up for Thanksgiving at this time. But coming from the West Indies where it's not celebrated, I really don't put THAT much emphasis into it as I do with Christmas. And for me Christmas means black cake, ponche de creme and ginger beer. 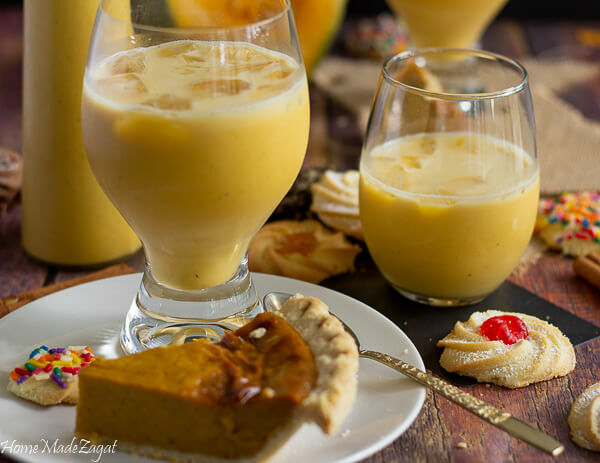 So i'm sharing with you this pumpkin version of this popular drink. 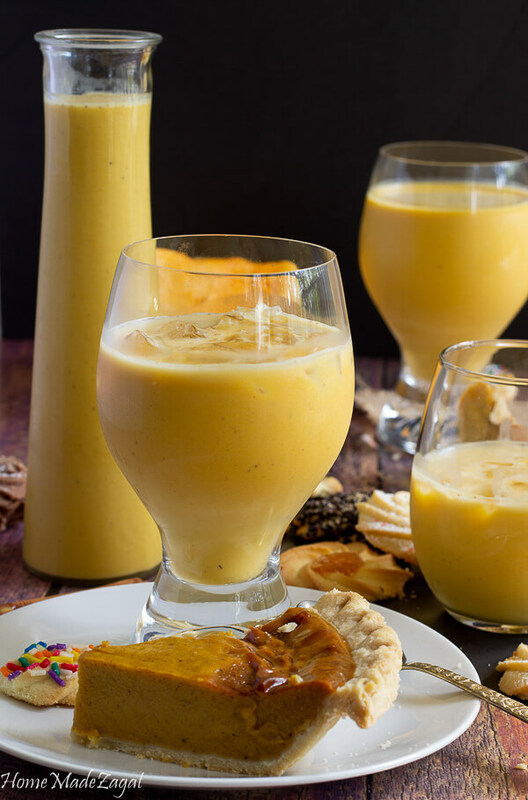 And this one is a ponche de creme without eggs recipe. Please note though. Normally, my Christmas emphasis is really just on what we going to eat for dinner. For a long time, before I had my son, the hullabaloo that is Christmas prep annoyed me. You see, in the Caribbean, Christmas time is HUGE. Traditions are a huge part of our culture, so we do a lot of things, some of them, in my opinion, was a waste of time. As a result, I was always the one trying to skip out, hide, have an errand that has nothing to do with anything, just to get away. I just wanted to get to Christmas day so we could eat. But now that I have my son, I've started to want him to get to know these traditional actions/processes/celebrations that we do. Like everywhere else, we have music, lights, and food. Before the celebrations, there has to be house painting, yard cleaning. This is the season you sit down and go through all that paper you had stacked up to go through. Every dish gets washed up. The regular ones and the fancy ones that sit in that cupboard all year. Clothes get donated. Windows get cleaned with newspaper and vinegar water. Worse experience if your windows have louvers. Curtains also have to get made. Oh my word. Just the thought of going to buy curtains with my mother and aunt used to send me crazy. The most important tradition though was that of community. It wasn't just you cleaning your own yard. Or painting your own house. For sure it was a village effort. Your neighbor may be the one painting your house. Another neighbor supplies the scaffolding. 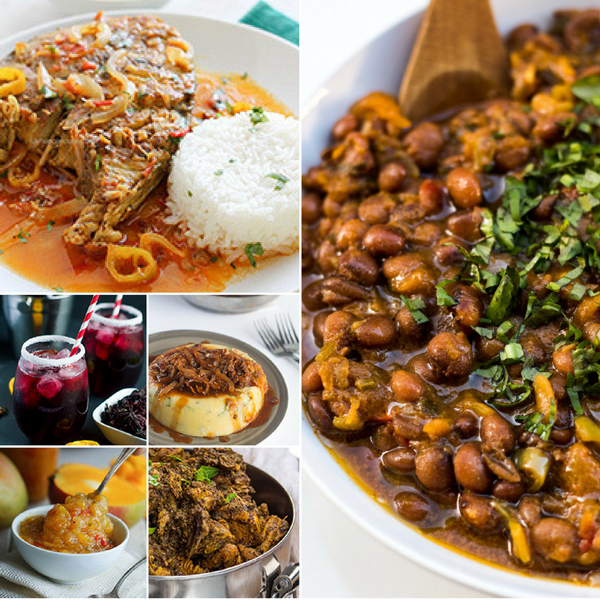 All while this is going on, someone is in the yard on a gas stove cooking up a quick pot of pelau, or stew pork and dumplings. Tomorrow, roles would reverse somehow, somewhere. Some other person's truck is helping tote the garbage to the dump for a few other neighbors. Or you just might be the one helping paint the house. There is going to be a variety of people passing through your house. Someone who doesn't like raisins. Another who might not eat pork. Someone who is a vegetarian. 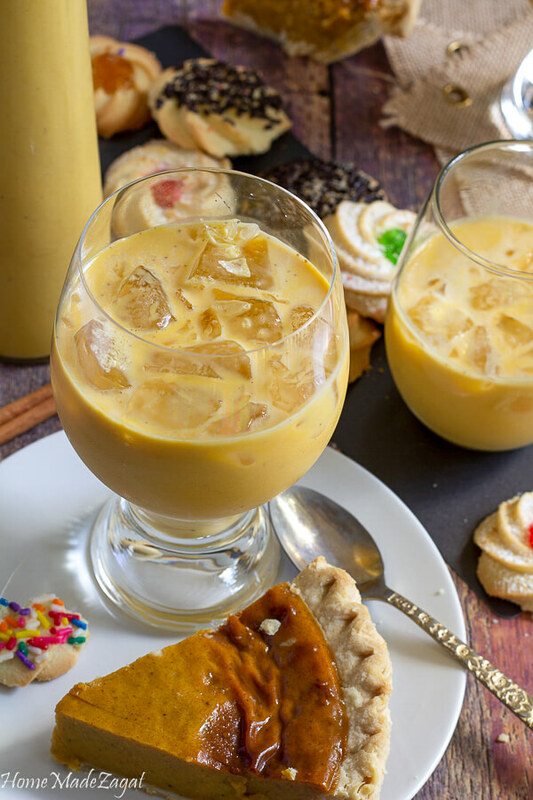 Our traditional flavored ponche de creme would not be a good option for a vegetarian. It's full of eggs. So this is the perfect substitute. It's the vegetarian Ponche de creme. Or Pump de creme as my mother says. Did I mention that that recipe I shared was passed down from my great-great aunt? It's a recipe my mom, the original punch ah creme maker, got passed down to her and then passed to me. Same for us and the traditional black cake. 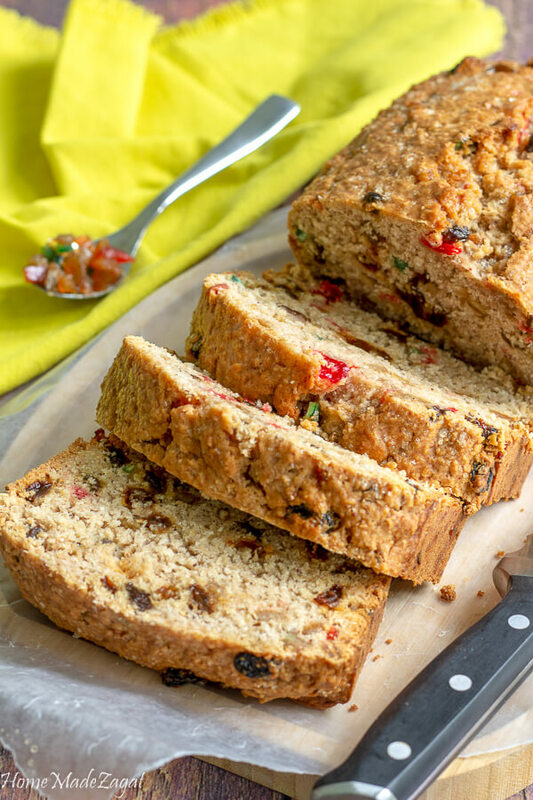 And this passing of recipes is just such an important part of keeping our traditions alive. This pumpkin version though is a great money saver. I don't have to use any eggs. And it is just as delicious. In fact, when my mom tasted it, I think she mentioned that she just may prefer this flavor than the one she has used for the year. Unlike my plain punch ah creme though, this one I refrigerate after making it. This is great for me since I am not much of an ice lover. So I can already have it chilled. Adding crushed ice though makes it Ah-mazing. Choosing a pumpkin would be important cause it can make or break making this. I find that pumpkins are a bit iffy here in the US. Unlike back home, I have to be careful of the pumpkin I'm picking at the grocery. I'm sure we can be lazy and go buy pumpkin puree in the can and use it for this drink. I use the canned stuff in my recipe for pumpkin hot chocolate. But I much rather a fresh pumpkin for this drink. Choosing a pumpkin is important to make sure you get the best taste. Around this time of year, in the US, people are selling pumpkins in abundance. Some of them to carve for Thanksgiving, the others are to cook. We do not want to get a carving pumpkin to cook with. Carving pumpkins, though edible, are watery tasting, stringy and very bland. 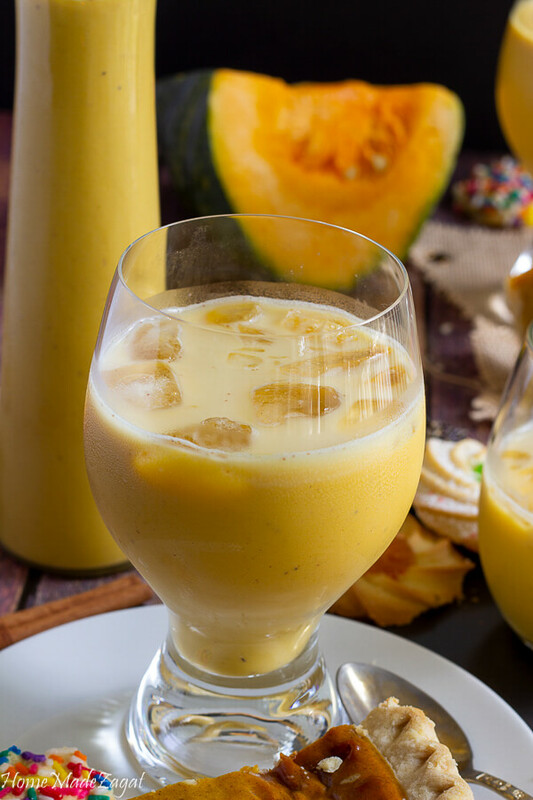 We want the pumpkin that is sweet, full of flavor and has a smooth texture to the flesh. I suggest getting those pumpkins that have the label "sugar pumpkins" or even better "pie pumpkins". I have noticed that those pumpkins are called New England Pie Pumpkins or Autumn Gold or Baby Pam. I've also seen Fairytale pumpkins, but please note, the skin on those are extremely hard and thick. Make sure there are no soft spots and/or bruises. Don't even worry if the skin is dull. Do you know pumpkins have a long shelf life so sometimes the skin gets dull from sitting? So we now have the best pumpkin in hand. And we are ready to peel it and cut it up into smaller pieces to use it. You don't have to worry about cutting it up too small since we are going to boil it then mash it up in the blender. Some medium sized pieces would do good to boil then blend. I also suggest making sure that all the skin is removed. Sometimes when peeling we may leave a little skin on, missed unintentionally, but we want to make sure all of that is removed. Now we can blend. Everything goes into that blender. And we blend. So make sure your blender is a good one. We want to get all or as much of the pumpkin blended up as possible. We don't want to waste any of that pumpkin. We want it all in the drink. Or as much of it as possible. Using a strainer is fine. That's what I use. But if you have cheesecloth that's also a great thing to use. 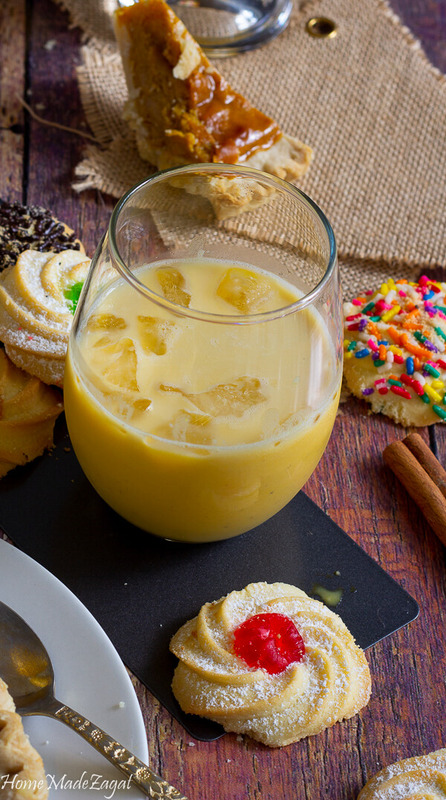 How long can ponche de creme last? No seriously. I don't get how people ask this question. I am drinking this every day when I make it. So it doesn't last long. But seriously, since this has to be refrigerated it can last up to 6 months. This is smooth, creamy and so delicious. It's like my other pumpkin punch that is non-alcoholic, but the fancier cousin who wears pearls. 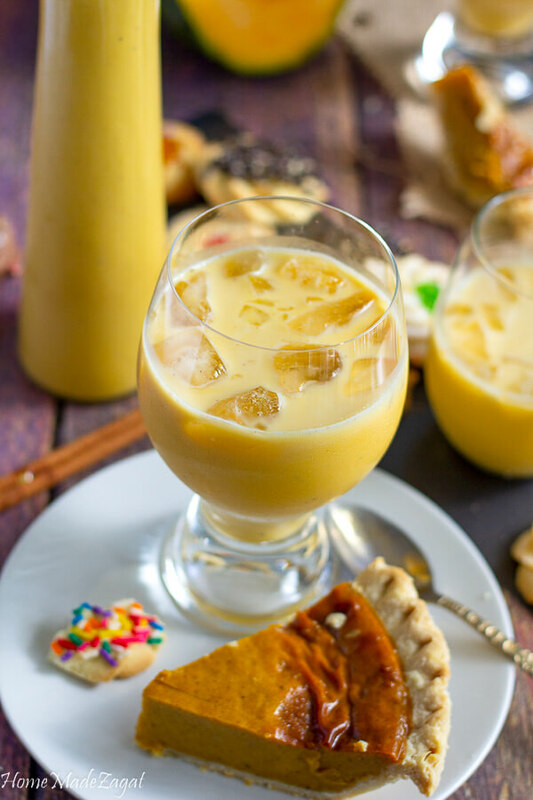 Steps aside Mr. Eggnog, we have a new winner in the house. And something I will have in the rotation this season for my special guests. 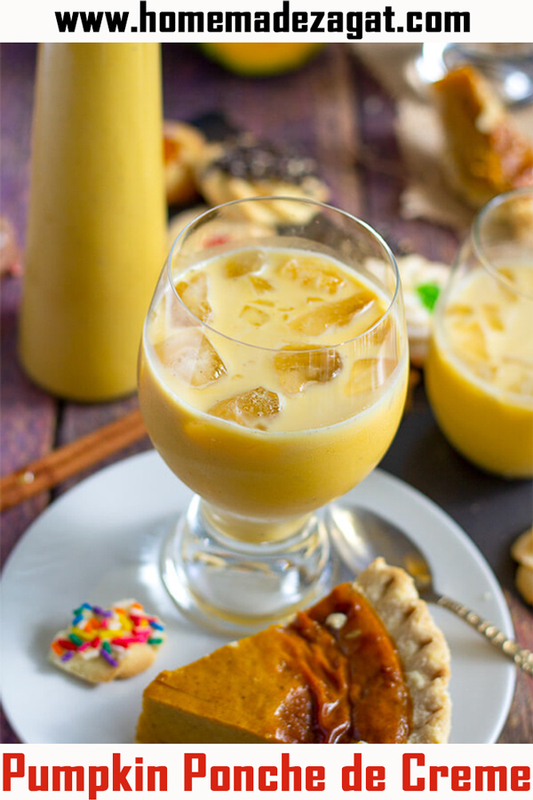 Pumpkin ponche de creme is another version of the popular drink from Trinidad and Tobago. 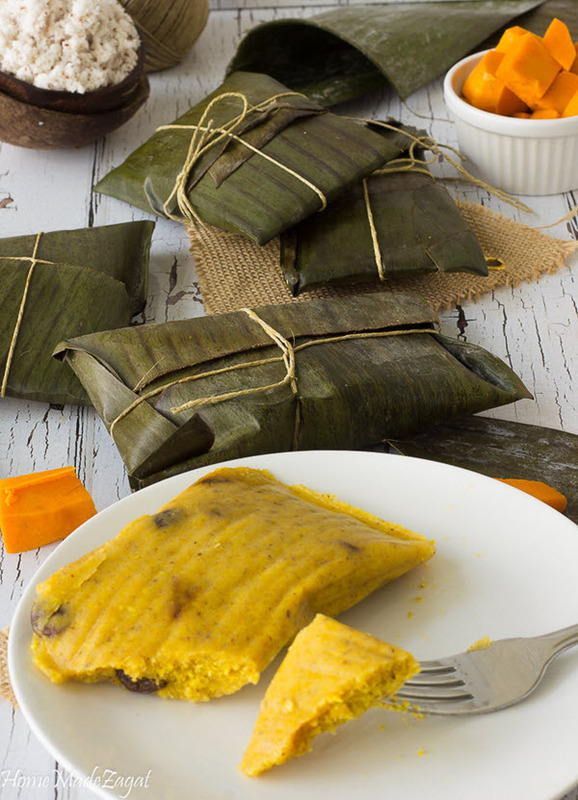 Adding pumpkin, and with no eggs this is the perfect vegetarian version.